This is what I’ve been waiting for. 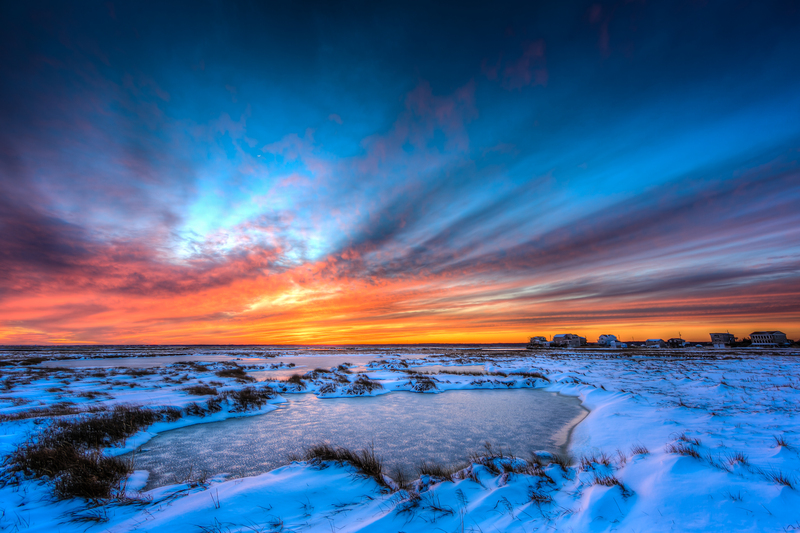 The perfect storm of a snow covered marsh, expressive clouds and an explosion of color. The occasional visits of the Polar Vortex this year have served to paint the most dramatic skies; and tonight just may have been the best of all. I shan’t distract you from the photograph with any more words and I hope you enjoy.